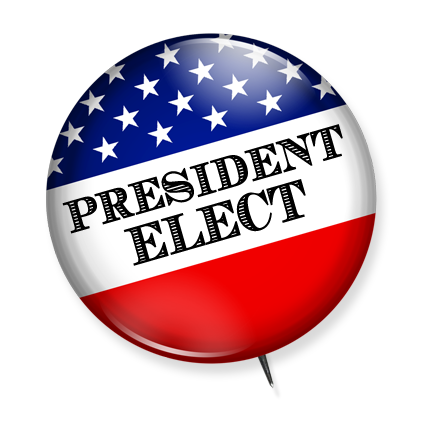 President Elect - Upgrading The College? Governor George W. Bush captures 285 electoral votes en route to winning the election. Bush won this landslide victory over Vice-President Al Gore who managed to capture 253 electoral votes. In case you missed it, I'm talking about the 2000 Presidential election. Most who know the official results of that election realize that the actual electoral vote count was in favor of Governor Bush by a count of 271 to 266 with one elector withheld in protest, a difference of 27 electoral votes. So how did I come about such an odd and lop-sided result from the 2000 Presidential election? Like many citizens in the United States, I have replayed the 2000 Presidential election in my mind considering a variety of scenarios that could have come into play to influence the electorate in one direction or another. Colorado recently came under the influence of such a group that has gotten a proposed amendment to the Colorado Constitution on the ballot this fall. Amendment 36 is being hailed as the "popular proportional selection of presidential electors" amendment. Declaring that each state has the right to determine how its share of electoral college votes be allocated to the presidential candidates, the proponents of this amendment seek to eliminate the "winner-take-all" method that has been used in Colorado. Instead a simple formula is used to determine how many, if any, electors that a presidential candidate would receive. However, a candidate must garner at least five percent of the vote to be eligible for an elector. If approved, this measure would go into effect immediately and could impact the outcome of the 2004 Presidential election. Had this been in place in 2000, Governor Bush would have won five electoral votes to Vice-President Gore's four, yet the overall electoral vote total would have shifted giving the election to the Vice-President by a count of 270-267, a reversal in results. While I applaud Colorado's attempt to do something different, I disagree with the method they are seeking to install to do so and I will detail why momentarily. So where do my numbers come from? You know, that lopsided 2000 Presidential election result. My numbers stem from a system for deciding how to allocate statewide electoral votes that is already in practice in two states in our union. I believe this system to be the best system and I hope to show you why. Maine and Nebraska use this system in allocating their electoral votes. Maine has four electoral votes and Nebraska has five. I'll call the method the Congressional District Method (CDM). CDM recognizes that each state is given two Senators at large and then is divided into congressional districts and that the combination of these equals the number of electoral votes the states have. Maine has two Senators and two Congressmen, while Nebraska has two Senators and three Congressman. On election day the at large winner in Maine or Nebraska will receive two electoral votes plus one electoral vote for each congressional district that the candidate wins the popular vote in. In 2000, the winner of the at large vote also won the state's congressional districts in both Maine and Nebraska. However, not every state had such similar results. Vice-President Gore won California's at large vote and in the "winner-take-all" system, won all 54 of the state's electoral votes. Under CDM, Vice-President Gore would have won California's at large vote and received two electoral votes (the same as if he had won any other state) and 33 of the state's congressional districts with Governor Bush winning the other 19 congressional districts for a final tally of 35 to 19 in California's electoral college. Texas was a similar scenario. Governor Bush won Texas' at large vote and received all 32 of the state's electoral votes. CDM would have balanced the equation with Governor Bush capturing Texas' two at large electoral votes along with 20 of the state's congressional districts with Vice-President Gore securing the remaining ten congressional districts for a final electoral college tally of 22 to 10 in Texas. These two states left Vice-President Gore ahead 54 to 32 in 2000 in the "winner-take-all" format. CDM would have found Vice-President Gore ahead 45 to 41 in a much more representative fashion. Governor Bush would have won by a score of 285 to 253. Governor Bush would have won 30 states receiving 60 electoral votes for them, with Vice-President Gore having won 20 states receiving 40 electoral votes for them along with Washington D.C. which is worth three electoral votes leaving the race close with Governor Bush on top 60 to 43. Winning 225 congressional districts nationwide, Governor Bush would have secured enough electoral votes to win the election with 285. Vice-President Gore won 210 congressional districts for a final total of 253 electoral votes. Before I give a defense for why I believe CDM to be the best system for allocating electoral votes, I will first briefly discuss two alternatives that have been in the news during the 2004 Presdiential election season. Popular vote seems like a logical way to determine who should be President of the United States. The New York Times has advocated such a system. Majority rule is a major problem for this system. Founded as a Constitutional Republic, the United States values a balance between those in the majority and those in the minority. Being such a vast, heavily populated landscape, we need to realize that a variety of viewpoints must be considered when we elect our President. Today, if we were in a popular vote system, whatever New York and California wanted, New York and California would get. All candidates would represent the same values because there do not exist enough votes in the rest of the country to override the shear numbers of people that are found in these states. Popular election for President would effectively eviscerate the minority voice in United States' politics. In 2000, Vice-President Al Gore won the popular vote by 500,000 votes while winning both California and New York. Colorado will have a proposed amendment on ballots this fall that would set up a popular proportional vote (PPV). PPV would use a formula to determine firstly, who is eligible to receive electoral votes (need at least five percent of the vote). Secondly, PPV would determine how to allocate the electoral votes between the two candidates. In 2000, Governor Bush won all nine of Colorado's electoral votes. PPV would have given Bush only five of those electoral votes, awarding the other four to Gore. This would have resulted in Gore winning the 2000 election 270 to 267 with the one abstention from D.C. Problematic to this system is that it still gives more weight to the popular vote than it does to the collective voice of the state as a whole. Colorado would be prevented from making a firm declaration of a winner in this sort of system. Under CDM, Colorado would have gone to Governor Bush six to two. Bush would have won the two at large electoral votes and four of the congressional districts while Gore would have won the other two congressional districts. It would be redundant to go through my state by state results at this point, so I am going to forge ahead with my reasons for believing that CDM would be the best and most effective electoral college upgrade available. Balance! My first reason is that our Founding Fathers wanted to see a balance of power in our nation. Rather than having to appeal to their constituencies and a couple of swing states, presidential candidates would have to accommodate a much broader electorate. If each of the 435 U.S. Congressional districts had an equal voice, Presidential candidates would be forced to have a broad appeal to the United States rather than, as currently, a narrow appeal to the larger voter bases. Florida's fiasco last year made my point better than I could have myself. Being only worth two electoral votes, all of the money spent on litigation for the state of Florida would have been saved and the citizens of the United States wouldn't have been held hostage by the legal system for nearly two months following the election. Third parties would have more opportunity to make a difference in the elections. Each Congressional district would have an equal voice. Rather than facing the daunting task of winning the entire state in order to capture electoral votes, third party candidates can pick of congressional districts here and there effectively securing their place of legitimacy in the political spectrum. Ross Perot picked off a few Congressional districts in 1992 and received no real credit for it. Finally and most importantly, more voter's voices will matter! Rural congressional districts in the mountain states of the western United States would carry the same weight as urbanized congressional districts in California and New York. Each state being equal would force presidential candidates to reach out to a broader scope of Americans. CDM would force the realization upon presidential candidates of how necessary it is for them to recognize that they are seeking to be President of the United States, not President of the red or blue states with a couple in between. Mark West is Pastor of Rehobeth Baptist Church in Moorefield, Arkansas, and Retirement Benefit Specialist at The Citizens Bank in Batesville, Arkansas. A political analyst and beginning writer, he is a member of the Constitution Party.